Steel twin screw turbine vessel, built in 1932 by Cammell Laird & Co., Birkenhead (Yard No.981), for Great Western Railway (British Railways). November 10th 1931: Launched by Lady Mather Jackson. February 1932: Delivered to Great Western Railway (British Railways) for their Fishguard – Rosslare service. Although managed by G.W.R. 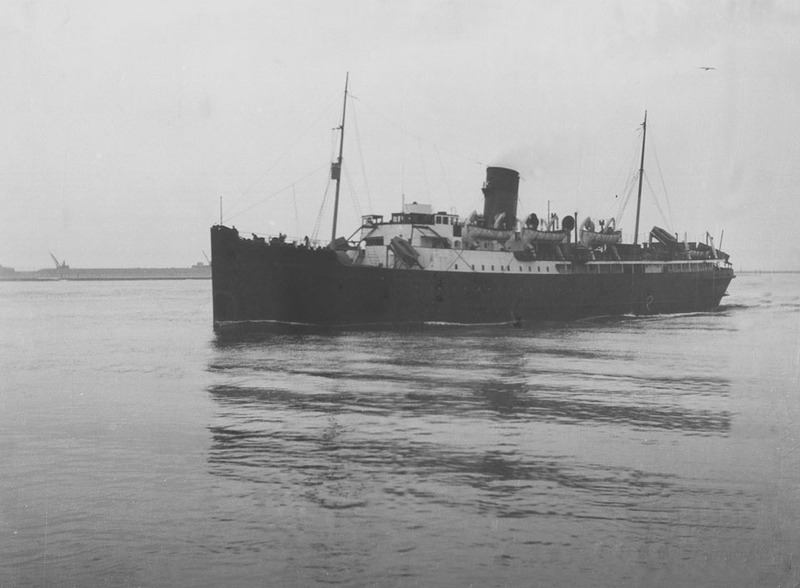 she was built for the Fishguard and Rosslare Railways and Harbours Company. September 11th 1939: Taken off her Fish guard – Rosslare service and requisitioned. September 13th 1939: Arrived at Southampton for conversion to HOSPITAL CARRIER No. 24. September 21st 1939: Left for Newhaven. October 27th 28th 1939: At Cherbourg embarked her first casualties, 186 stretched and 120 walking wounded, before crossing to Newhaven. 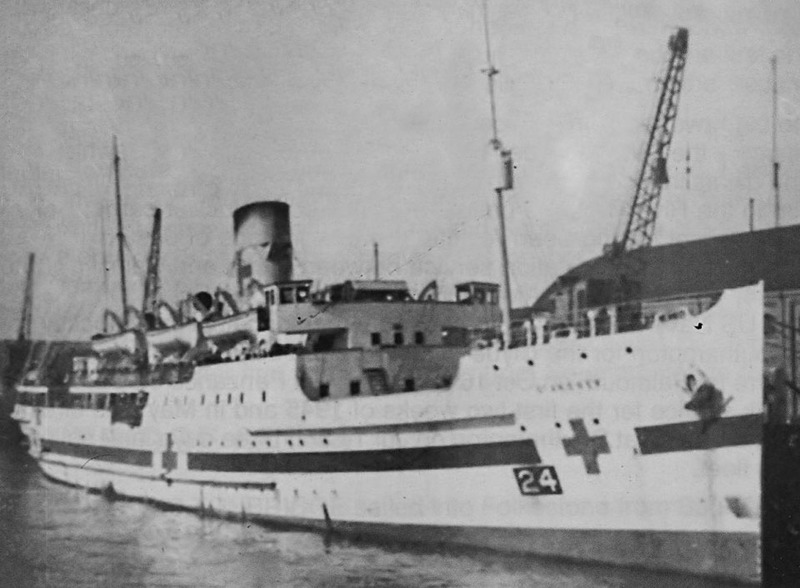 November 29th 1939: Crossed from Dieppe to Newhaven carrying 248 patients (ten less than her listed maximum). Made only one medical crossing in the subsequent 5 months. February 1st 1940: Medical crossing to Dieppe. May 21st 1940: Battle casualties evacuated from Boulogne and taken to Southampton, whereupon she sailed to Cherbourg to embark more casualties. May 24th 1940: Sailed for Calais but heavy fire prevented her entry to the port. That same evening at Dunkirk she embarked so many wounded that all space inside the vessel was filled and walking cases had to be accommodated on deck. May 26th /27th 1940: Made three departures from The Downs anchorage, off Deal (Kent/UK). Each time she was either ordered back or forced by gunfire to return. 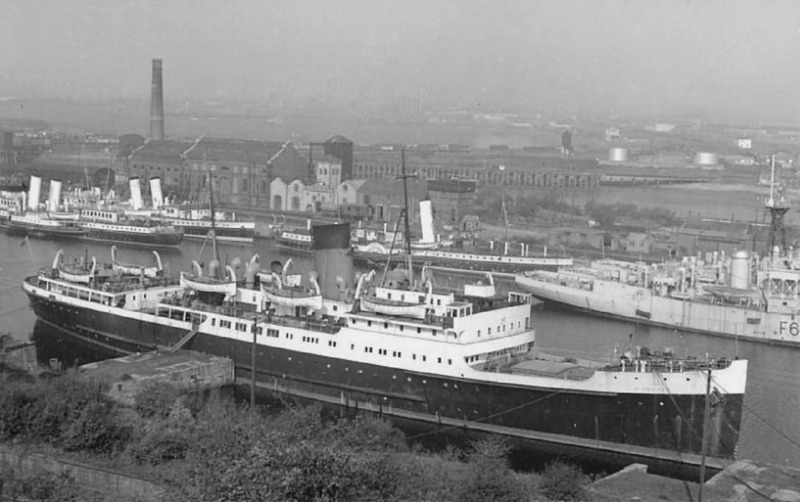 May 31st 1940: Having had concrete protection installed over her bridge at Southampton, sailed to Dunkirk where she embarked 122 wounded, mostly on stretchers, then sailed for Newhaven. 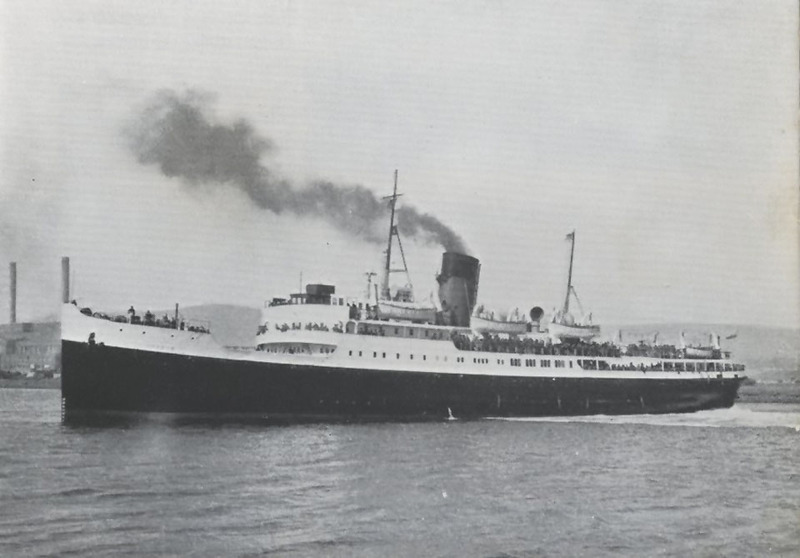 June 14th 1940: Moved from Newhaven to Plymouth making a return crossing to St Malo. 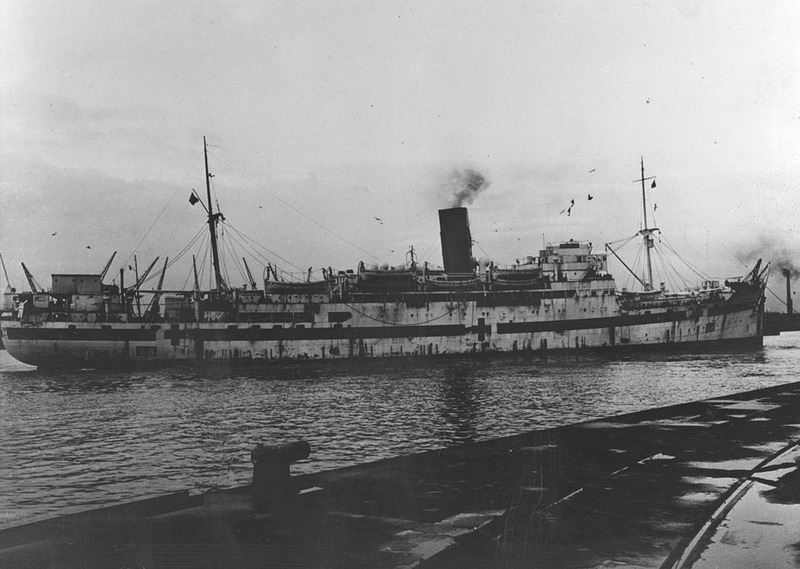 June 16th 1940: Left St Malo with at least 1,700 on board. July 12th 1940: Left Plymouth for the Clyde. October 9th 1940: Went alongside the Orient line ORONSAY, which had been the victim of an air attack, to convey the dead and wounded to Glasgow. This was ST ANDREW’s only assignment in more than 12 months. July 27th 1941: Proceeded from Gareloch to Scapa. October 8th 1941: Sailed to Aberdeen. December 5th 1941: Moved to provide hospital facilities at the fleet anchorage in Loch Ewe. February 27th 1942: Her one remaining anchor was carried away in a gale and the ship had to call for urgent assistance from a tug. September 3rd 1942: Taken in hand for a refit at Scotstoun, the work including the provision of an operating theatre, resuscitation ward and new electric winches for boats. November 9th 1942: Returned to Loch Ewe equipped with life rafts, but no boats. She remained the until January 31st. May 16th 1943: Ordered to the Combined Operations base at Inveraray for training exercises. June 2nd 1943: Took delivery of the first of her six water ambulances. 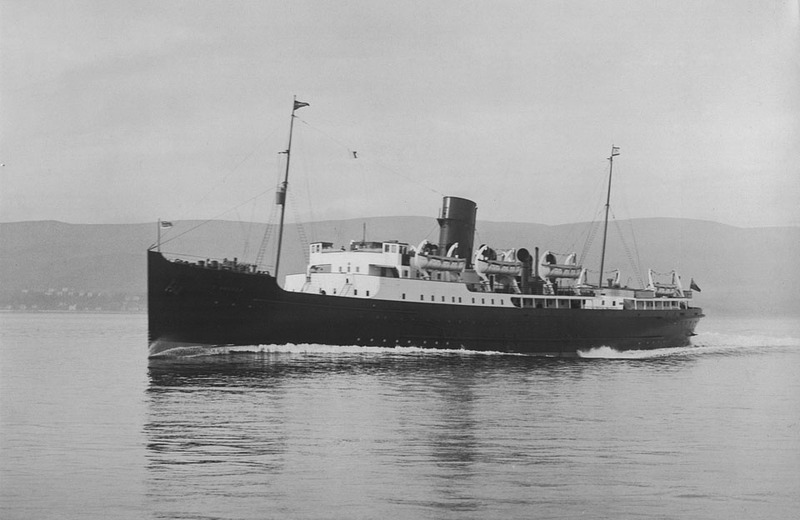 June 25th 1943: Having received the remainder of her water ambulances, left Gareloch for the Mediterranean. July 10th 1943: Reached Bizerte (North Africa). August 15th 1943: Made her first sailing with casualties, carrying 276 patients from Palermo to Bizerta. September 10th 1943: At the start of “Operation Avalanche” (the landings at Salerno) she left Bizerta to anchor off Salerno beaches. September 11th 1943: Rescued 195 personnel from the bombed and burning hospital ship NEWFOUNDLAND. October 4th 1943: Called at Taranto (Italy). October 9th 1943: Called at Bari. October 13th 1943: Called at the Italian west coast port of Sapri. November 6th 1943: At sea, off Termoli, received a visit from General Montgomery and that same evening was air attacked but undamaged. January 21st 1944: Anchored off Naples in readiness for “Operation Shingle” (The landings at Anzio). January 23rd 1944: Involved in a collision with the vessel GLARONA. January 24th 1944: Off Anzio was attacked by aircraft, with bombs falling 50ft away, and her water ambulances lowered into rough seas to rescue 60 survivors from her sister ship ST DAVID, which had been sunk. January 25th/February 13th 1944: At Naples crew refused to sail to the beaches. Men concerned were removed and replaced by survivors from ST DAVID. August 11th 1944: At Alexandria to load German prisoner of war casualties for Bone. August 24th 1944: Sent up the Adriatic to Ancona where 344 wounded were embarked, so many in fact that 65 of them had to sleep on deck. September 23rd 1944: Again in the Ancona area, this time without patients on board – unable to obtain accurate fixes on her position in the darkness. At 05.57 hrs a mine exploded near her port side abaft the beam. 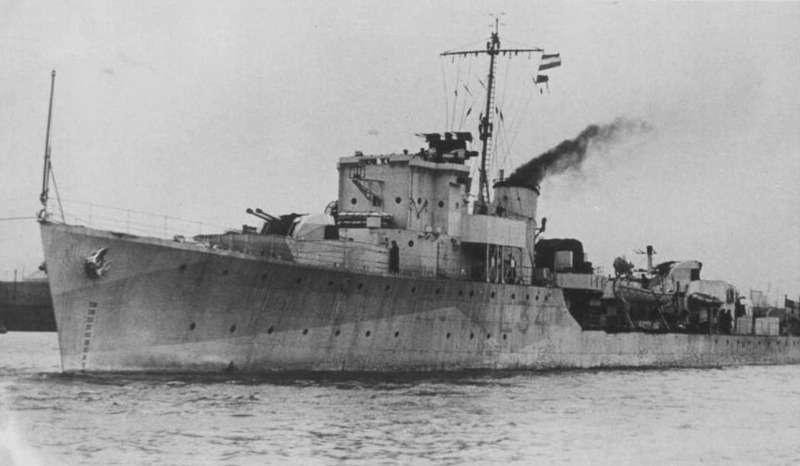 She was incapable of steaming, so her nurses and military personnel were ordered to abandon ship, while firstly ML 240, the HM destroyer WILTON took her in tow. 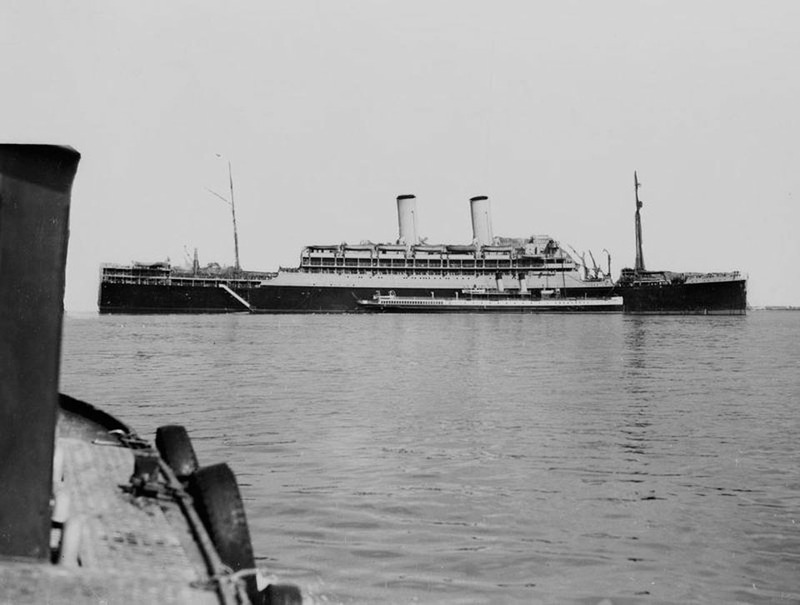 The hospital carrier, still making water but in no danger of sinking, in turn towed her six water ambulances and two lifeboats until their occupants could be transferred to the destroyer. The 410 mile tow took six days. During her time in the Mediterranean, she covered 46,000 miles and carried 15,145 patients. December 19th 1944: Temporary repairs effected at Taranto enabled her to leave for Algiers, Gibraltar, Falmouth and Liverpool. January 2nd 1945: Returned to Birkenhead for final repairs and refitting for commercial service. August 11th 1945: Left the Mersey via Dublin and Ostend. August 18th 1945: Began troopship services from Harwich to Hook of Holland. August 18th 1946: At Newport for refit. 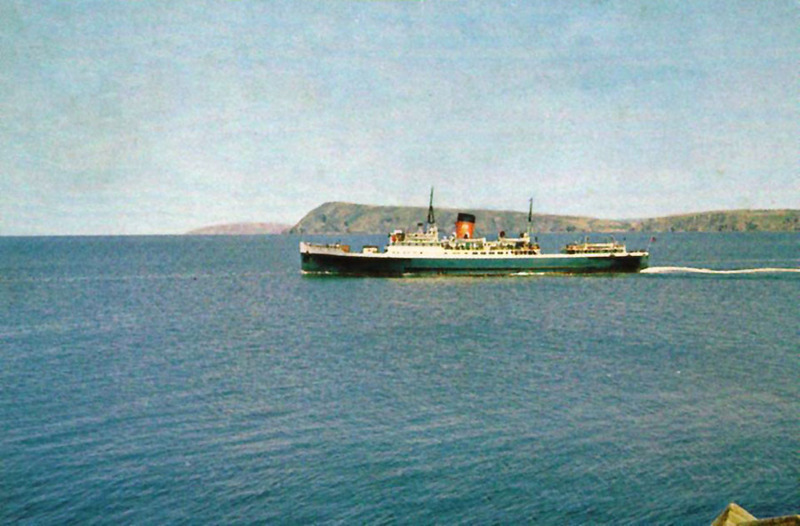 March 24th 1947: Restored the Fishguard – Rosslare service passenger. April 10th – June 1st 1948: Harwich – Hook of Holland. 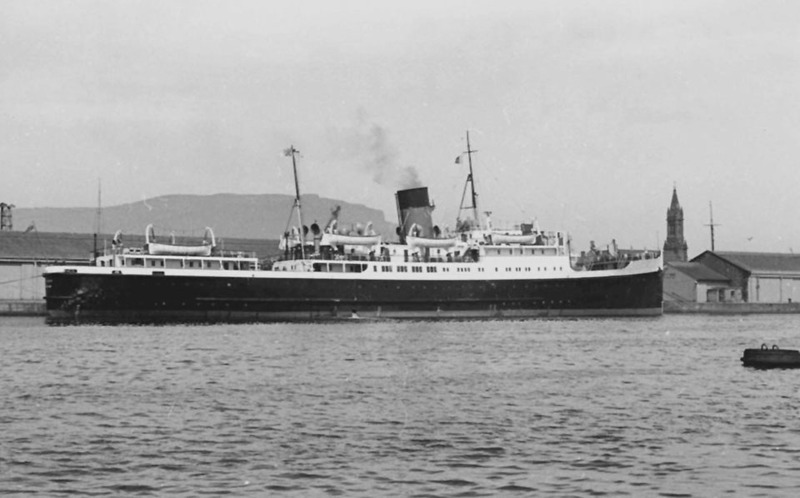 September 29th – October 5th 1952: Holyhead – Dun Laoghaire. October 6th – November 2nd 1964: Holyhead – Dun Laoghaire. July 1961: Weymouth – Channel Islands. 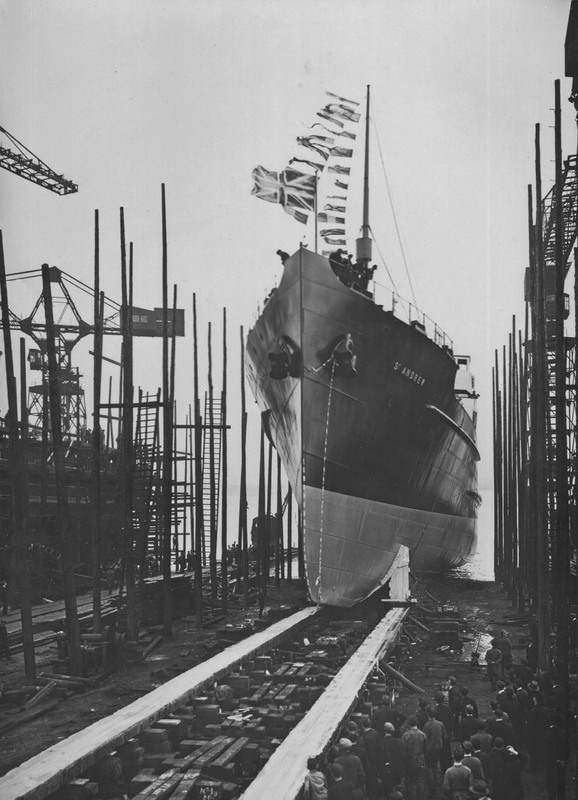 1955: Her masts were removed and new ones of tripod type were erected on the superstructure. This left large areas of deck space clear for the carriage of containers. December 30th 1966: Last sailing from Fishguard. 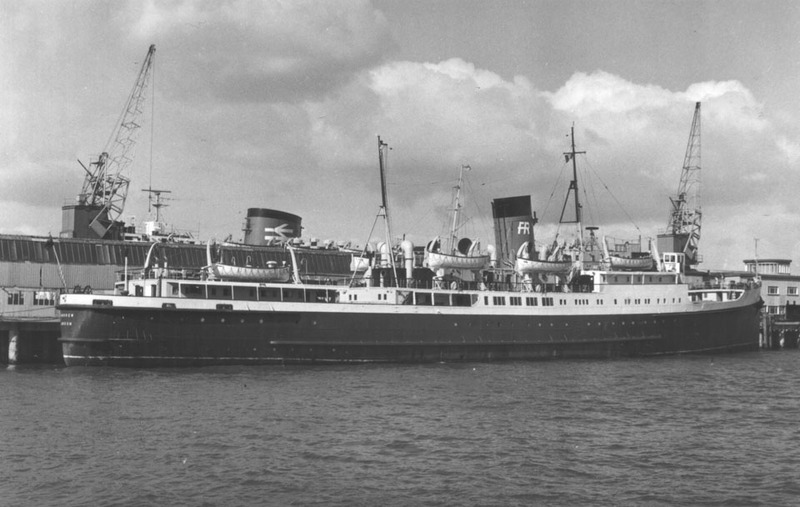 December 31st 1966: Last sailing from Rosslare. She was then moored in the harbour on a care-and-maintenance basis. March 1967: Sailed for Antwerp. 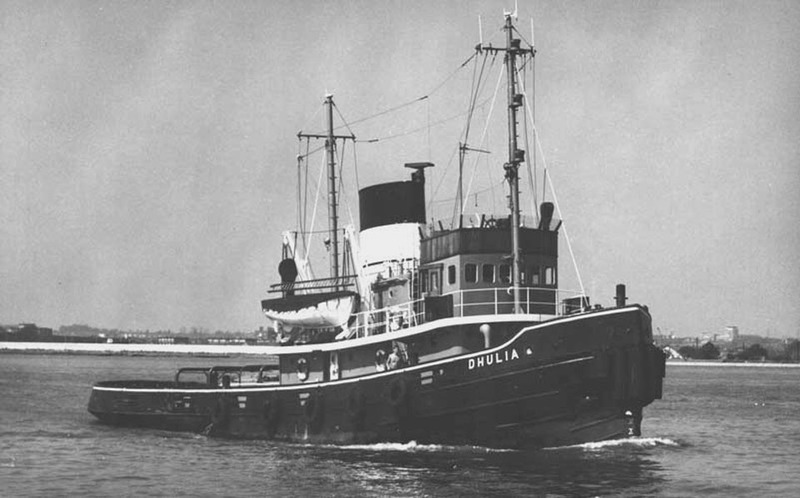 June 24th 1967: Arrived in Antwerp in tow of the tug DHULIA to be broken up by Jos. De Smedt. All information is believed to be correct and no responsibility is accepted for any errors or omissions. All items included in this article are subject to © copyright. We would like to take this opportunity of thanking: Derek Longly for his assistance in producing this feature. What a history! one has too remind oneself of the fact that how individual lives were affected Also any photo’s of D.H.B. TUGS, 1900-1920 ? Thanks Eric for the comment. So far if, you go to the top right hand corner of each page you’ll find a “magnifying glass” symbol. Click on the symbol and you will be prompted to enter a search criteria.